A small bag is displayed to the audience. The magician shows the bag is empty, even turning it inside out and allowing a member of the audience to feel the inside. A silk handkerchief is dropped into the bag and a child from the audience is asked to wave his hand over the bag making the handkerchief vanish. Try as he might, the child just can`t make the handkerchief disappear...but he does end up making the silk change into a santa hat! 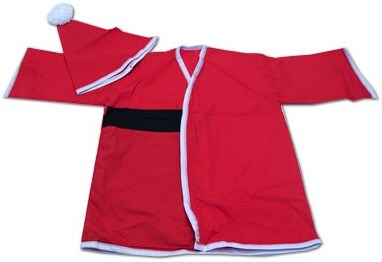 In a flash, the whole bag is then changed into a Santa Clause suit to match which fits your helper perfectly!